Japanese black tea known as Wakocha is still new to a lot of Japanese. Unlike conventional Japanese tea like Sencha, Hojicha etc, Wakocha tea leaves are not everywhere. I mean we can only buy Wakocha at limited shops. Recently, some bottled Wakocha began to put in the market. Since Japan is a superpower of PET bottled drink, tons of bottled drinks are sold every day. So, people may have more chance to know that Japan produces black tea thanks to its bottled drink. 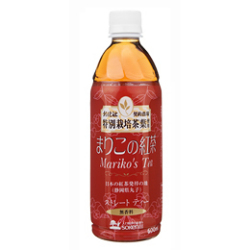 I prefer tea infused by a teapot to bottled one, but it would be good if bottled drink could be a gateway to Wakocha.